This is NOT AN OFFICIAL NKOTB website and I am in no way affiliated with NKOTB this site is set up by a NKOTB Fan for Fans to help with Cruise Information, questions, find room mates and meet your fellow ship mates prior to sailing or any other enquiries I might be able to help with. I was a past cruiser in 2009 & 2010. Feel free to conact me should you have any questions. 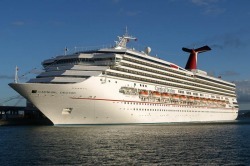 NKOTB CRUISE 2011 - It's Our Destiny !!! Come and check out this site for photos of past cruises, tips, infomation on what to expect and let us know about your own experiences. Feel free to post any comments or questions you may have if they have not been answered already on here in the forum.